Online payments in India is growing at a very fast pace. Every day new Internet users are opting for e-commerce, choosing to pay their bills online, book cabs using apps and more. The trend of digital payments is catching on with the masses. And with the recent demonetization of high denomination notes, online payments is sure to get a huge boost across the country. Last year in the month of May, cashless transactions actually surpassed physical transactions, and that set the tone of the future. In fact, Govt. of India has announced that all Govt. expenditures above Rs 1000 would be digital, and this speaks volume about the future of online payment; and very soon, there would be no surcharges on digital payments as well. As per Google’s latest report, 55% of all payments in 2020 would be digital, which is an increase from 40% currently. The spread of mobile wallets, easy availability of debit/credit cards is fueling the habit of online payments. However, when it comes to small and medium scale businesses, then online payment still pose lots of issues, which is stopping its growth and expansion. For instance, due to slow Internet speed, a lot many online transactions fail meanwhile high service fee by established online payment gateways scare the new online entrepreneur from choosing digital payment for his/her business. Razorpay, a new entrant in this competitive niche of online payment gateway, has introduced several interesting features which makes them one of the few players who do understand the need and requirements of the digital businesses. 40-50% of all sales volume generated by leading ecommerce players happen from Tier 2 or Tier 3 cities; but the average Internet speed in such locations are pathetic to say the least. Razorpay has ensured that even with slow Internet speeds, the online payment gets through and the consumer is not stuck in the middle. 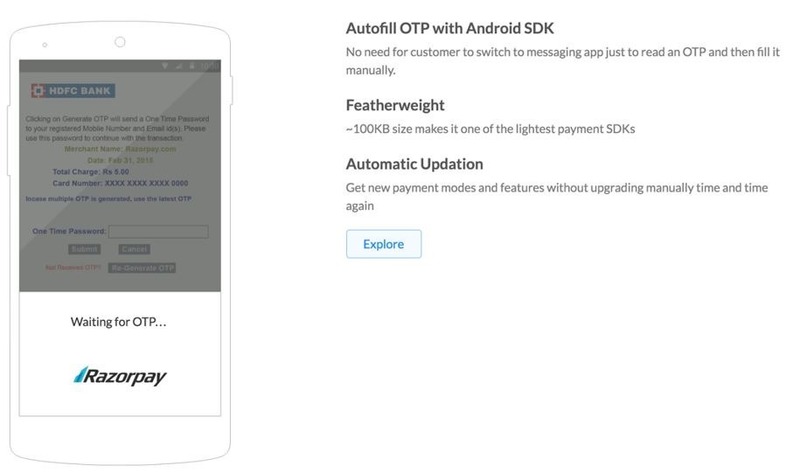 And to add to the convenience, in Android devices, Razorpay reads and enters the OTP automatically which increases the speed of online transactions. Besides cementing the brand’s reputation, such seamless payment technology actually instills confidence within the end user, and encourages them to shop more, from the same e-store. Experienced digital entrepreneurs will also observe that their cart abandonment rate has come down & customer satisfaction increased. 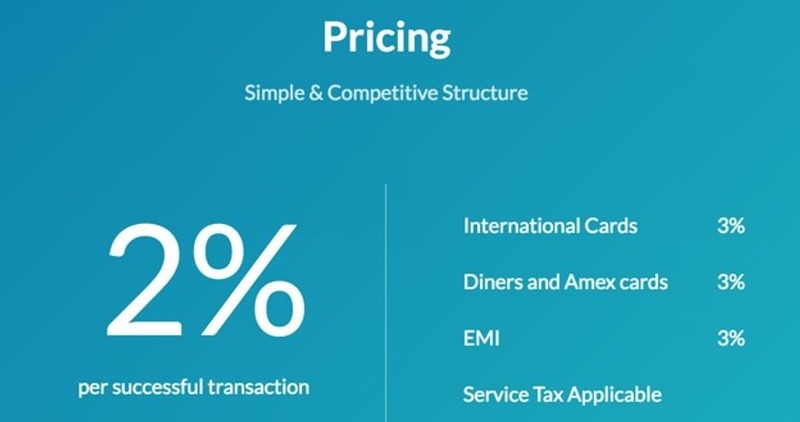 With 2% transaction fees, Razorpay pricing is cheaper than most other online payment gateways, who charge between 2.5 to 5 percent. Additionally, there is no set-up fee or annual maintenance fee for opening a new account and all the documentation is handled online which enables a completely paperless onboarding process. With high transaction fees of 4-5% currently being the trend among established players, Razorpay’s transaction fee will help small scale digital entrepreneurs to save money on transaction charges. Razorpay offers some of the widest choices for payment modes. Once merchants integrate Razorpay on their websites, the end customers can pay via Credit Cards, Debit Cards, Netbanking, Wallets and even UPI. 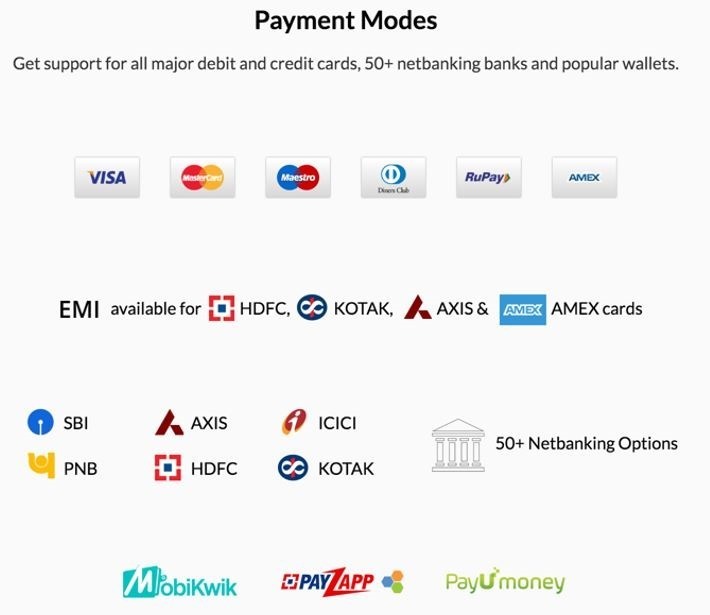 Almost all types of cards are supported and Razorpay has integration with 55+ banks in India. If customers choose to pay via Wallets, Razorpay now supports four different types of online wallets and more wallet integrations are in the works. 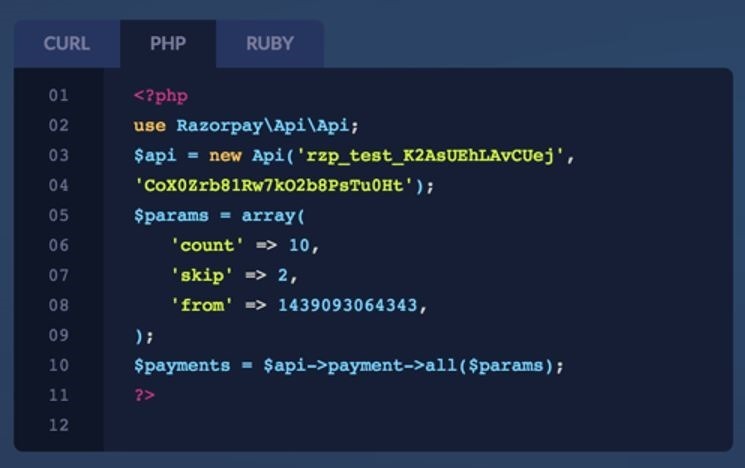 Razorpay’s another interesting feature is the swift integration with your online store. The account opening and approval process is quick and integration process a breeze thanks to their APIs. In most cases, the integration process can be completed in less than one hour. And Razorpay also has ready made plugins for plug and play ecommerce stores such as Shopify, WooCommerce, Magento and more. The best part of this whole exercise is that, the end-user is not required to leave the e-store while making the payment, which is the norm currently. Hence, if site A is using Razorpay, then customers of site A can complete the whole process of making online payment right inside site A, without opening any other third party website. Not only it stamps a seal of trust for the customer, but it also makes it ultra-convenience and easy to complete the process. 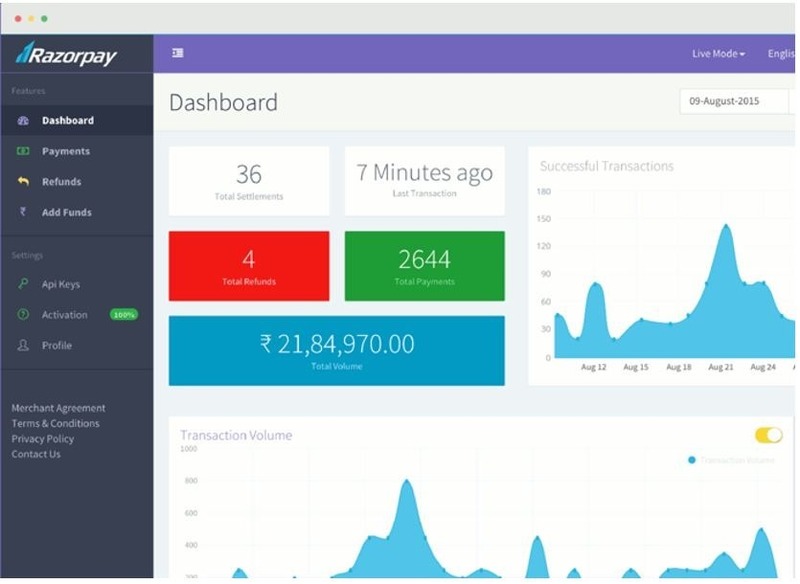 Once merchants sign up with Razorpay, they have access to a powerful and feature rich dashboard. From the dashboard they can track the incoming payments, process refunds for certain transactions, get more details on a specific transaction such as the mode of payment and more. From this dashboard, users can also upload their documents and get their account approved. Razorpay dashboard also allows team access where you as an administrator can add other team members to access the same dashboard without needing to share your username and password with them. With the latest feature called Flash Checkout, end users who make payments via Razorpay can save their card information with Razorpay. This works across mobile devices and desktops. An important feature of Flash Checkout is that the end user needs to save their card information with Razorpay only once and all future payments can be made seamlessly – across merchants who use Razorpay to accept payments online. With the recent demonetization of 500 and 1000 rupee notes, most of the ecommerce merchants have stopped accepting cash on delivery orders. However, consumers find cash on delivery as a very convenient, safe and secure option because they make the payment only during the delivery of the merchandise. Indian consumers are still not very comfortable with online payments because they have to pay in advance and wait for days to receive their order. Razorpay has now launched a new feature called eCOD. eCOD maintains the benefits of COD but removes the hassle of handling cash during the delivery of the order. The transaction is made electronically during the delivery of the order. The customer can complete the transaction with just an OTP and even without an internet connection. For more information on eCOD, visit this page at Razorpay. Razorpay seems to have given special attention to the aspect of security and safety for the consumer, which is so very important in digital payments. First of all, as a primary level of security, Razorpay doesn’t force the user to leave the actual site for making the payment (as shared earlier). Then, in case the payment is stuck due to any external reason like unavailability of OTP or insufficient balance, then the customer need to repeat the whole process, again. As there is no re-direct to an external site, Razorpay has used a pop-up window to complete the payment, and this very fact allows the user to retry the payment easily. Additionally, Razorpay is PCI DSS Compliant and Certified, which means that any data which the end user enters into their platform is secured and safe. Merchants using Razorpay are not required to be HTTPS or PCI DSS Complaint as the online payment process is actually happening on Razorpay’s platform. The features and characteristics displayed by Razorpay no doubt makes them as one of the most effective and efficient players of online payment gateway niche. If you are using Razorpay, then do share your experience by commenting right here. "Razorpay Payment Gateway Review - Simplify Payments for Your Business", 5 out of 5 based on 2 ratings. Luxury and India’s Cautiously Rising Splurge Quotient! Yes, I saw that later….. STOP IT!! You’ve got a reasonably good thing going with this site,…. but if you pull this kind of trick again, I’ll stop coming here. …oh, and another thing occurred to me – have you considered going Pay? If you improve your writing, I’m willing to pay 10 bucks a month to read Trak, so that this “sponsored” bullsh*t doesn’t have to happen again – Anyone else? …and STOP CENSORING MY COMMENTS, PLEASE!! RazorPay is the WORST payment gateway I ever dealt with. I own a technology company from last 15 years in USA and India and about to launch a start up in India. I am one of their recent customer and I can’t explain how much pain I been through. I can’t even explain you everything but let me summarize you the best part here. For account activation not only they asked so many documentations + non relevant information but also told me it would take them 5-7 business days to review documentation. Now the interesting part is their email asking so many things. Now you are in loop for sending more documentations, replying their stupid YES STUPID emails every day for last 2 weeks. Let me explain you STUPID – they are asking me last 3 months of bank statement of my account but i opened my account just 2 weeks back so explained them that it is not possible but provided all the bank account details with the receipts of account opening but they are keep asking me to provide me bank statement for various reasons via emails and I am replying them saying same thing. So I went to RBI guidelines (believe me I am an expert when its come to banking and finance) and there is no mention of that i can’t have payment gate way if my account is recent. Now, I had enough and I am going to go an extra mile to expose these IDIOTS online. I saw your article praising them so wanted to share my part of experience for your users.